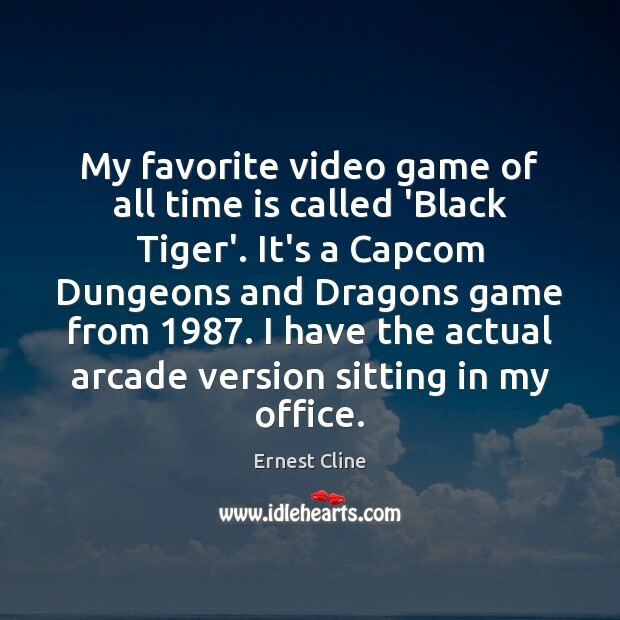 Quotations about Arcades. Quotes to stimulate mind and drive action! Use the words and quote images to feed your brain inspiring things daily! 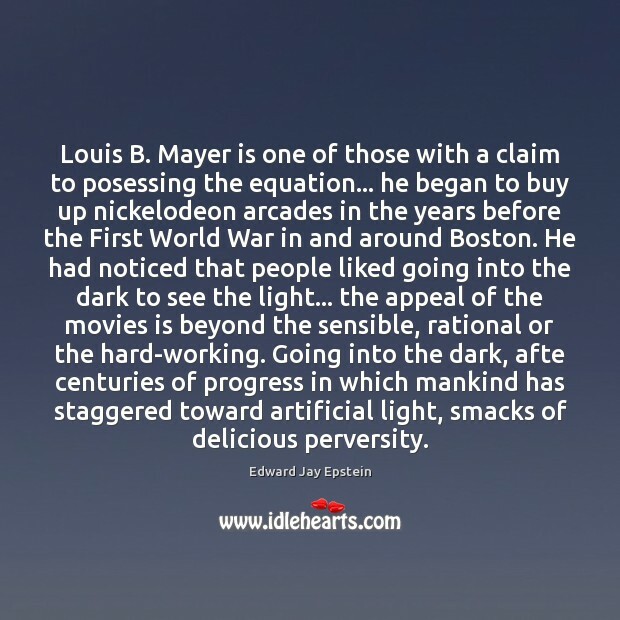 Louis B. Mayer is one of those with a claim to posessing the equation... he began to buy up nickelodeon arcades in the years before the First World War in and around Boston. He had noticed that people liked going into the dark to see the light... the appeal of the movies is beyond the sensible, rational or the hard-working. Going into the dark, afte centuries of progress in which mankind has staggered toward artificial light, smacks of delicious perversity. There was the pedestrian who wedged himself into the crowd, but there was also the flneur who demanded elbow room and was unwilling to forego the life of the gentleman of leisure. His leisurely appearance as a personality is his protest against the division of labour which makes people into specialists. it was also his protest against their industriousness. 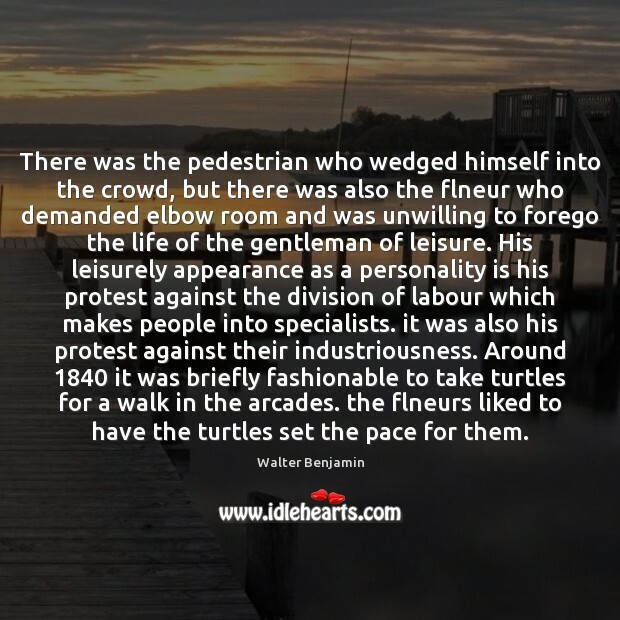 Around 1840 it was briefly fashionable to take turtles for a walk in the arcades. the flneurs liked to have the turtles set the pace for them. 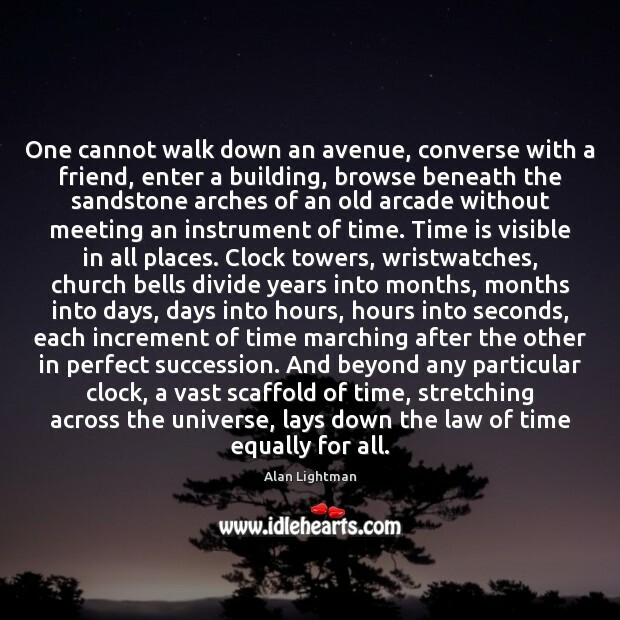 One cannot walk down an avenue, converse with a friend, enter a building, browse beneath the sandstone arches of an old arcade without meeting an instrument of time. Time is visible in all places. Clock towers, wristwatches, church bells divide years into months, months into days, days into hours, hours into seconds, each increment of time marching after the other in perfect succession. And beyond any particular clock, a vast scaffold of time, stretching across the universe, lays down the law of time equally for all. I still have my old Nintendo 64 that works. And I hook it up, and I still play the original Goldeneye. Im that geek. 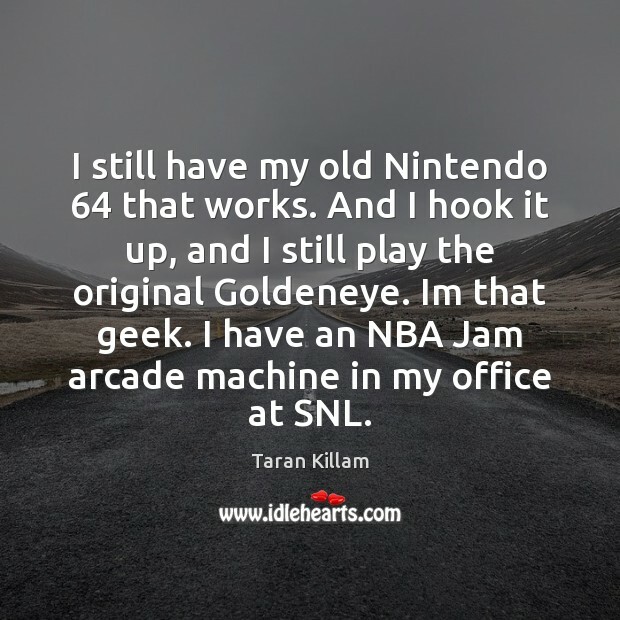 I have an NBA Jam arcade machine in my office at SNL. 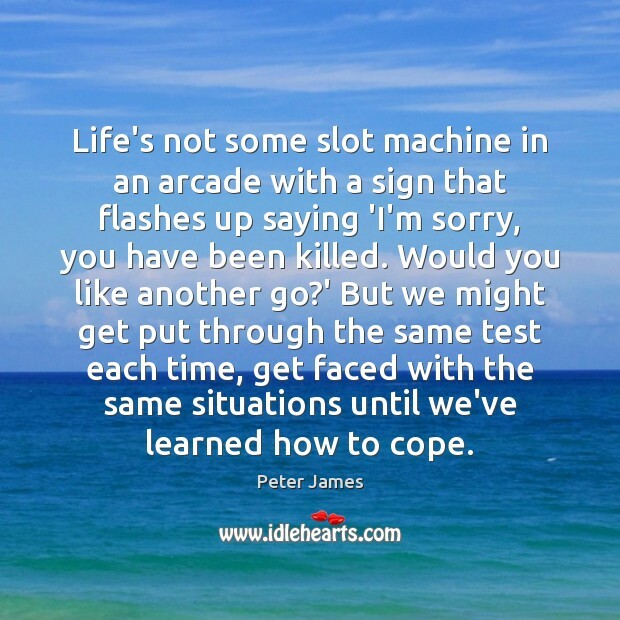 Life's not some slot machine in an arcade with a sign that flashes up saying 'I'm sorry, you have been killed. Would you like another go?' But we might get put through the same test each time, get faced with the same situations until we've learned how to cope. 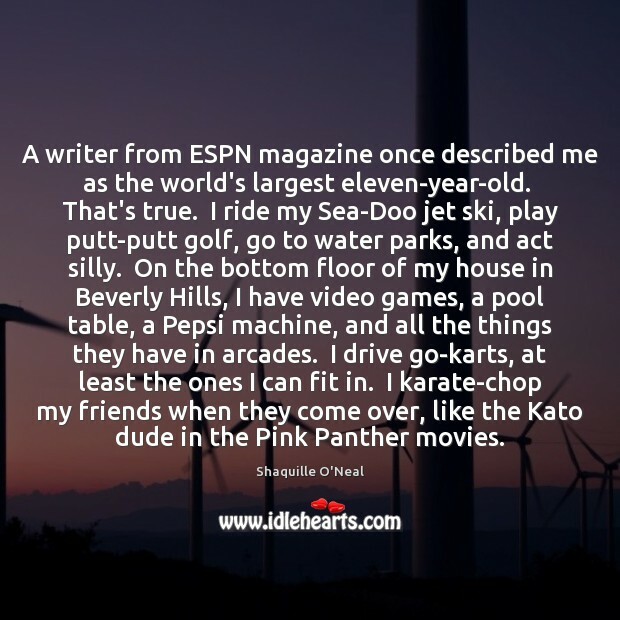 A writer from ESPN magazine once described me as the world's largest eleven-year-old. That's true. I ride my Sea-Doo jet ski, play putt-putt golf, go to water parks, and act silly. On the bottom floor of my house in Beverly Hills, I have video games, a pool table, a Pepsi machine, and all the things they have in arcades. I drive go-karts, at least the ones I can fit in. I karate-chop my friends when they come over, like the Kato dude in the Pink Panther movies. 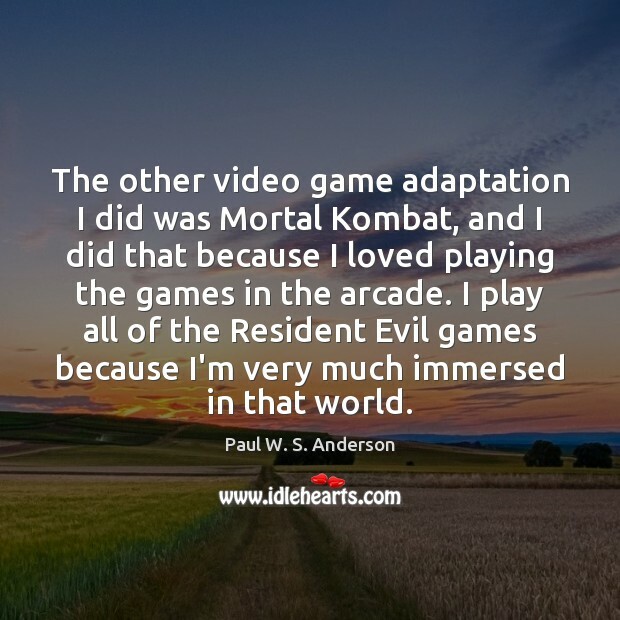 The other video game adaptation I did was Mortal Kombat, and I did that because I loved playing the games in the arcade. I play all of the Resident Evil games because I'm very much immersed in that world. I love an arcade. I love a boardwalk game. But I also love a rollercoaster. 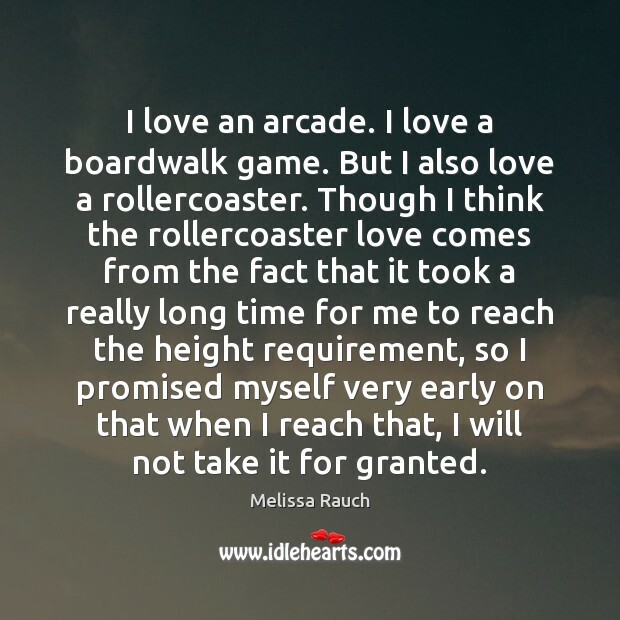 Though I think the rollercoaster love comes from the fact that it took a really long time for me to reach the height requirement, so I promised myself very early on that when I reach that, I will not take it for granted. I like bands for a long time, even when they're not trendy anymore. 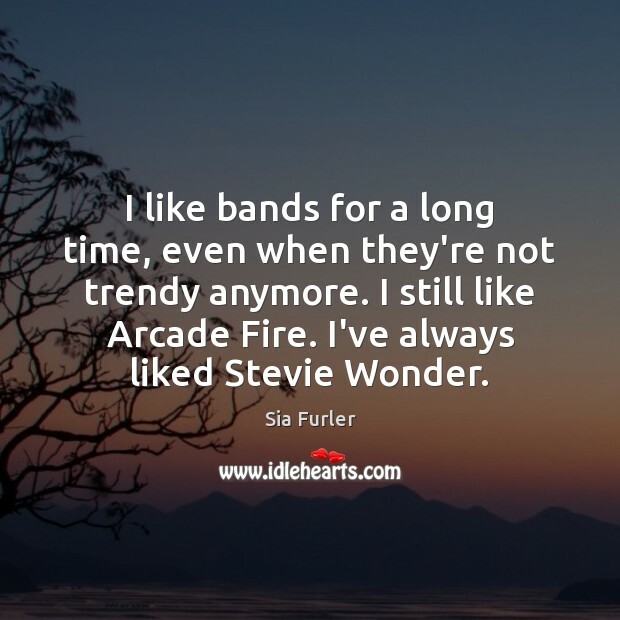 I still like Arcade Fire. I've always liked Stevie Wonder. I remember the first Mortal Kombat, when that came out, that was the hardest game of all time. 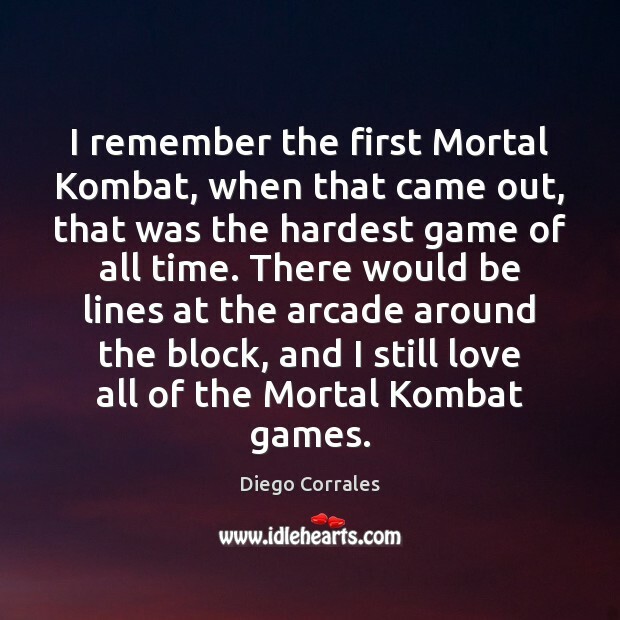 There would be lines at the arcade around the block, and I still love all of the Mortal Kombat games. 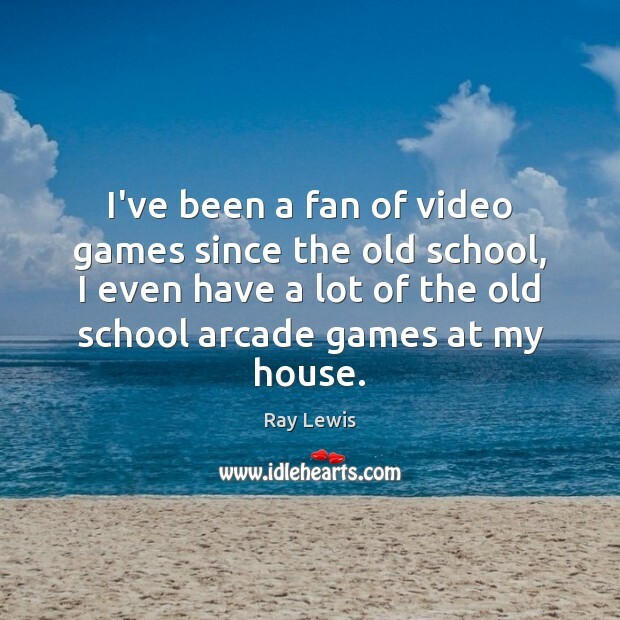 I've been a fan of video games since the old school, I even have a lot of the old school arcade games at my house. When I was growing up, I was as socially outcast as any nerd could possibly be. 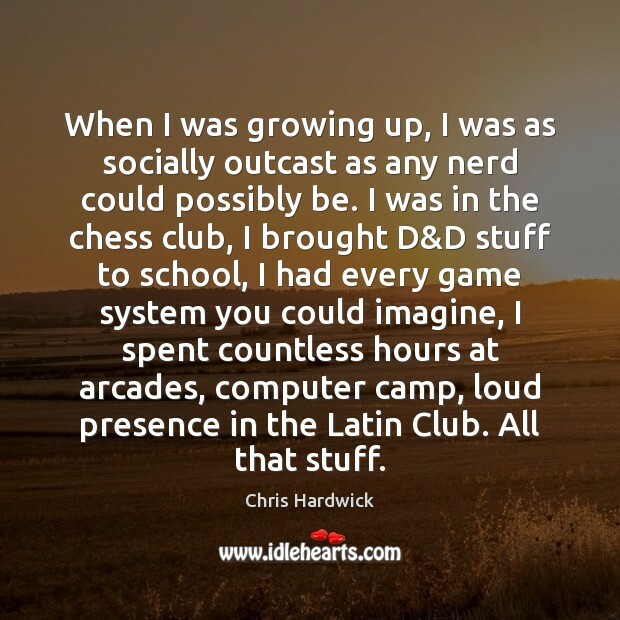 I was in the chess club, I brought D&D stuff to school, I had every game system you could imagine, I spent countless hours at arcades, computer camp, loud presence in the Latin Club. All that stuff. 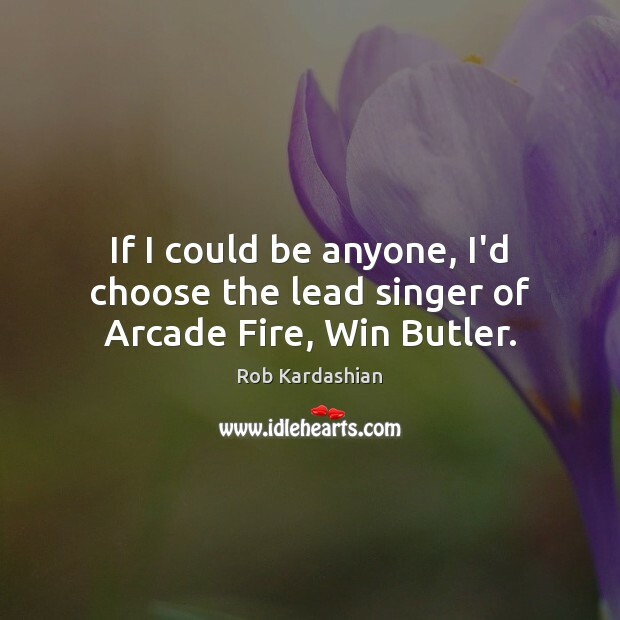 If I could be anyone, I'd choose the lead singer of Arcade Fire, Win Butler. 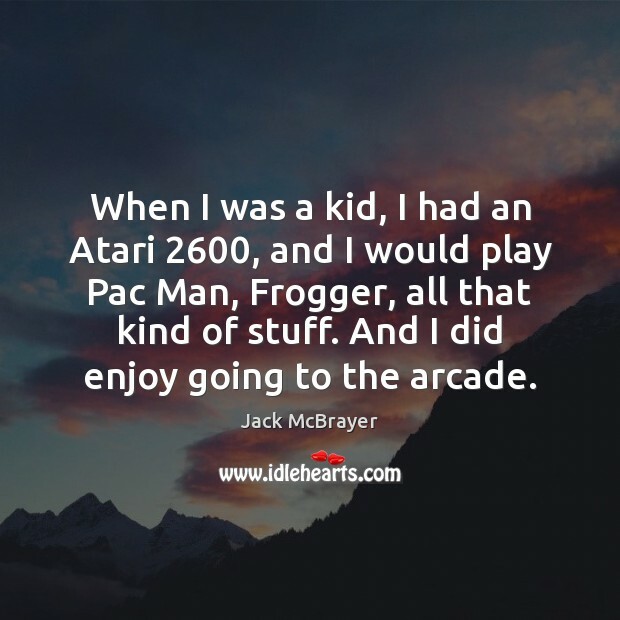 When I was a kid, I had an Atari 2600, and I would play Pac Man, Frogger, all that kind of stuff. And I did enjoy going to the arcade. 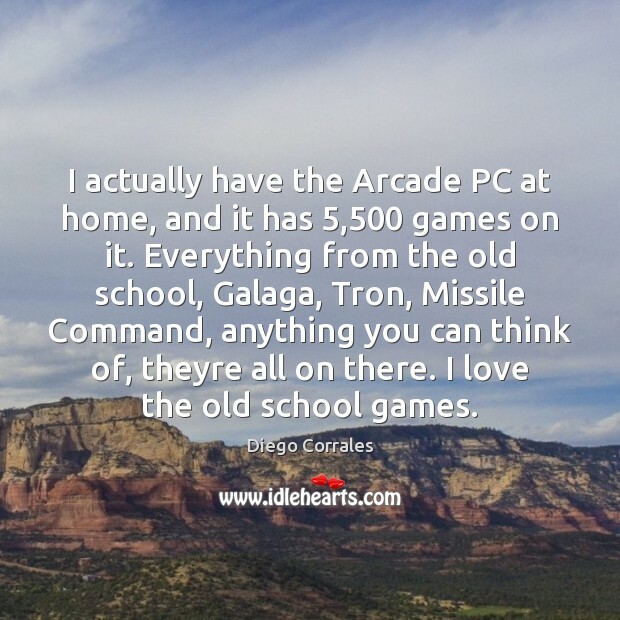 I actually have the Arcade PC at home, and it has 5,500 games on it. Everything from the old school, Galaga, Tron, Missile Command, anything you can think of, theyre all on there. I love the old school games. Polygons are fashionable at the moment - particularly in the arcades.